My name is Taavi Taijala. I'm a Data Scientist and PhD student. I'm a PhD student at the University of Minnesota in the GroupLens research lab. My advisor is Joseph A. Konstan. 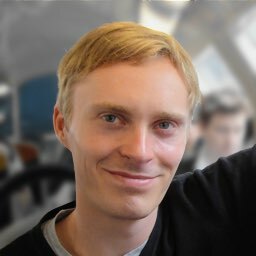 I primarily research human-computer interaction in recommender systems, but I also have interests in machine learning, bayesian modeling, and intelligent tutoring systems. This paper introduces and evaluates MovieExplorer, an interactive exploration tool designed to use the data available in a traditional ratings-based recommender system to provide an interactive interface more suited to user exploration and fulfillment of short-term recommendation needs. A field deployment with 1,950 users showed that users found the tool useful for a variety of exploration and short-term recommendation tasks, even preferring it to existing interfaces for several tasks. Experimentation with several design features found that the actual user navigation algorithms were significant (user satisfaction was lower for algorithms with faked controls) and that offering positive and negative feedback options led to increased feedback and user retention. Thomas Christie and Taavi Taijala. Presented at MinneAnalytics' Big Data Tech. Minneapolis, MN, June 5, 2018. Student learning, course effectiveness, and teacher grading difficulty are examples of critical educational factors that cannot be directly observed and must be inferred. In this talk, we show how to use Bayesian inference in the educational domain to estimate these quantities, and discuss how we can use state space models to update our estimates as the underlying properties change over time. In the process, we introduce Stan, a probabilistic programming framework, and discuss best practices in model evaluation and model comparison.